Don't let our name full you! We are a full automotive service repair shop that has been working with businesses and residents of Frederick County for over 22 years. We pride ourselves in providing exceptional customer service, superior repairs and vehicle maintenance. We do this because we are locally owned and operated and we also live and work in the same communities as you. 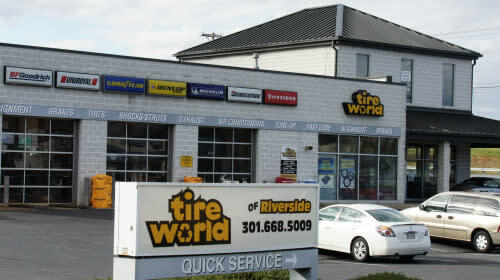 We also have the largest tire inventory available in Frederick County, including major brands and many private label brands. 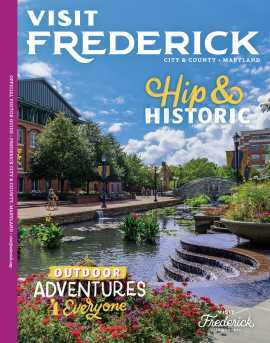 Request an online appointment for any of our store locations that is convenient to you in Frederick and the surrounding areas, or give us a call. We look forward to working closely with you to provide the best hometown service for your vehicle. 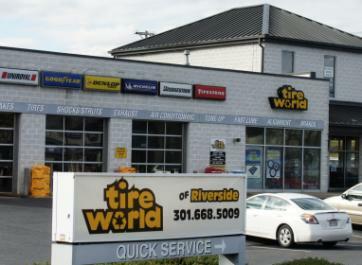 Two locations: Tire World of Frederick 301-698-9200 and Tire World of Riverside 301-668-5009.